Funerals are generally sombre as it represents the loss, interment and the final goodbye to a relative or loved one. 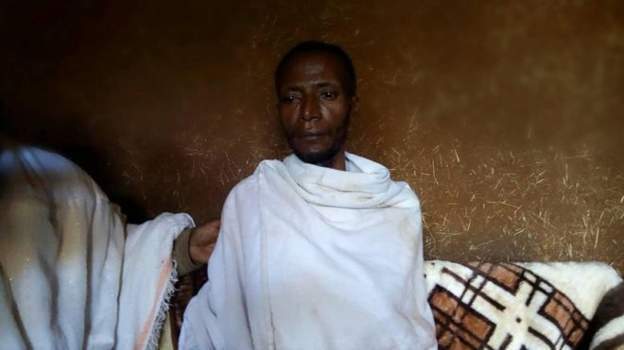 Hirpha Negero, a father of five, was pronounced dead on Tuesday and to following the tradition of the people in that region, a gun was shot twice to announce his death and announce his funeral. The vilage undertaker put Negero in a coffin in preparation for his burial later in the day but during the interment, what appeared to be knocking was heard coming from the coffin and people took to their heels. According to the undertaker Mr Etana, “People were shocked and ran away, I couldn’t get anyone to help me.” He added that when he opened the coffin, Mr Hirpha needed help getting out. After the initial shock, the funeral turned into a celebration as the deceased had resurrected from the dead. According to an interview with the BBC, Mr Hirpha said he had had visions when he was unconscious of “a beautiful green place” where a man dressed in white told him to “go back”.